Capitals in Fozziesov have been a hot topic since a certain dev blog came out. Guesting Crossing Zebras to talk about it we have Kurbanis Araeleus, a capital pilot who now looks at a very pricey list of skills and wonders if they were a waste of time. – Niden On Tuesday March 3, shortly after 1500 a devblog was released outlining the proposed sov mechanics changes, scheduled to hit Tranquility in summer 2015. 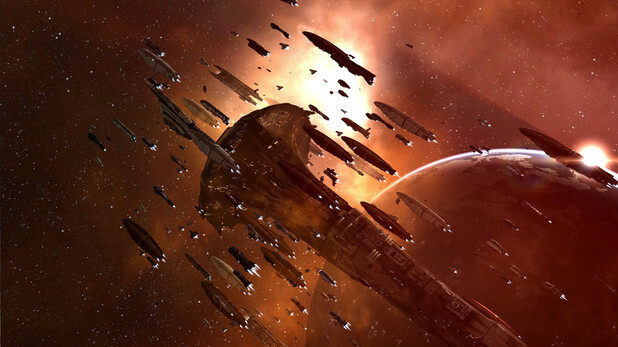 As is customary in EVE, capsuleers took to the forums in numbers, to shout damnation and cheer jubilation. Amongst the declarations of “EVE is dead”, “CCP killed null”, and “Can I have your stuff?”, one recurring statement stuck with me: What is the point of capitals now? For a long time, capital ships have been prolific throughout New Eden. Even titans and supercarriers—ships that started out as alliance level assets—now appear en masse at pings when another of their class has been tackled, like sharks in bloodied water. Some of them using extensively planned routes to cover great distances in short amounts of time. This “apex force” had created a status quo amongst the major nullsec—and even some lowsec—powers. Fleet fights weren’t about who had the best FC or who had the better comp; it was about who could field the most—the age old n+1 argument but on a larger scale. And it had become tedious. The release of Phoebe saw one of these issues addressed. The changes to jump mechanics, and the introduction of jump fatigue drastically reduced the effective ranges of capital ships from their home systems without putting them more and more at risk. This lead to an increase in their use by smaller entities, as the possibility of being hot dropped by a major bloc declined. Now anyone wishing to deploy capitals in anger had to weigh up their effectiveness for a specific task, versus the risk of travelling and operating in the intended system. Whether capitals were still used in anger I honestly couldn’t tell you without the metrics, but capitals were still being fielded in structure bashing, defense and other scenarios. Having acquired my first capital in early 2014, and having only used it in combat a couple times before Phoebe hit, I was content with my role as a post-Phoebe capital pilot. The risk was enough that taking gates in a dreadnaught or carrier still increased my blood pressure, but not so much that I’d never undock it again. I had trained for months and scraped together billions in ISK to pay for the skill books and outfitting of my ships; all of it earned in game, as plexing was not an option at the time. All this work had lead me to where I was, and even post-Phoebe, I was enjoying it. Enter fozziesov. Under the new proposed mechanics system conquest is triggered inside a 4-hour time window, dictated by the holding alliance, through the use of the Entosis Link module. This is a high slot module that can be fitted to a ship in order to instigate a capture timer on an enemy sovereignty structure, or in a defensive capacity, stop the timer where the enemy has activated one. Although the exact ship classes that it can be used with are not known yet, we do know that it suffers severe penalties when mounted on a capital ship, increasing the cycle time by 400%. Once a structure has been reinforced it will come out approximately 2 days later in the same 4 hour window. It is at this point command nodes spawn across all systems within the contested systems constellation. These conquerable command nodes are then captured using the same Entosis Link, and thus begins a tug of war between the defenders and any other alliance as to who gains control. This is in an effort to spread the conflict out, thereby attempting to resolve the n+1 problem by allowing more dynamically sized fleets, whilst simultaneously reducing server load. However, this is highly suited for the smaller and more mobile cruiser—specifically T3—doctrines seen in the current meta. Neither this task, nor the initial timer are exactly ideal for carriers or dreadnaughts, with the latter likely doomed to the life of sovereignty housemaid, cleaning out old POSes. Pilots of these mammoth vessels likely ruminating on their days on the frontline and praying the day a new baby faced or drunk super pilot does something stupid and their services will again be required. Even if only for the briefest of moments. Now, I’m not saying capitals are dead. Under the current plans, I just don’t see much opportunity for them to be deployed in null, in earnest. This got me thinking that, truth be told I wasn’t 100% happy with their name. A capital ship, in a real world naval fleet, is the backbone of a fleet, a flagship. They are few and supported by a plethora of ship classes escorting them. This is not how they are used in EVE. However, I don’t believe the name should change. In fact, with the impending release of sov 2.0 which I suspect will be released with only minor changes, we have an opportunity to redesign the intention of capitals to fit into these new mechanics, perhaps to something more in keeping with what their name implies; command ships in charge of a varied fleet setup. Conceivably, they could then be utilised to manage the now wider spread battlespace from a central location, maybe providing on-grid boosts and support to bring them out into the open and an active part of the conflict. Or, perhaps, something entirely new. Either way, in their current guise I believe capitals will be destined to spend large amounts of time gathering dust in hangars, performing mediocre tasks in POS management or worse: ratting! To those who have taken the time and effort to train for them, it feels like those skills have lost their relevance. Months, even years, of lengthy skill trains whose only purpose is for capitals and their modules, leave the capsuleer with a collection of redundant skill points. Suggesting, perhaps, that learning every T3 and its associated subsystems and support mods was what we were supposed to do, instead of attempting to foster the diversity that EVE promises. 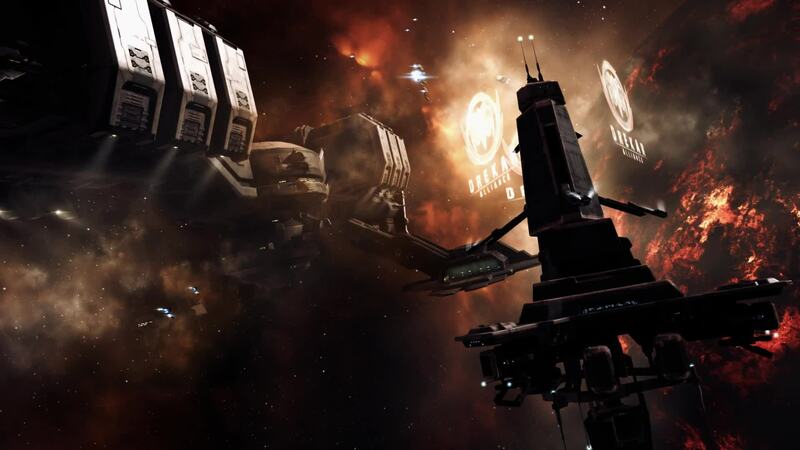 And as for supers, well with no more structures to bash and the death of skynet, I sincerely hope CCP is looking long and hard at what they can do to make capitals fun again. For now, capital pilots wait with bated breath not knowing when, or even if we will see changes that can reinvigorate these vessels and their dedicated captains. Kurbanis Araeleus is a jack of all trades, master of jack.... After a short start to his EVE life in 2007 as a carebear, he went on extended hiatus until his triumphant return in 2012. Having tried most aspects of new eden, he eventually turned his hand to corp leadership. He has since moved a small band of combat shy industrialists from the land of carebears to the playground of sov nullsec.